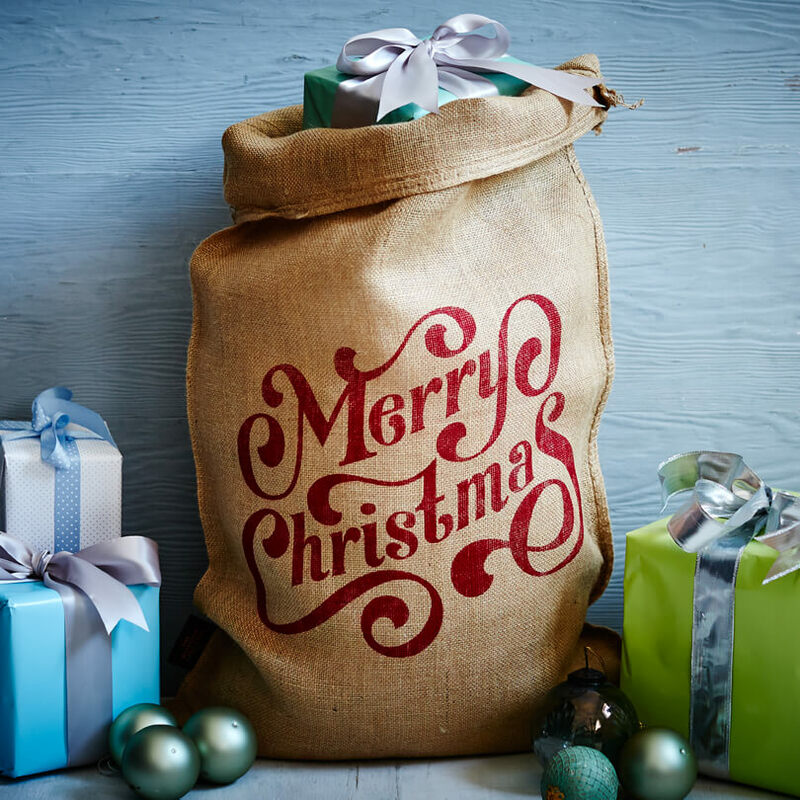 This bold festive hessian Christmas sack features our trademark Merry Christmas message, printed in classic red, in a decorative serif type. Measuring 80 x 53cm and complimented with one metre of branded crimson satin ribbon to tie round the top of the sack. A modern take on a traditional Christmas stocking. Five stars from me! The Spencer natural hessian sack looks super traditional which is the look I go for with my Christmas decorations! I purchased this sack as a present for my friend and she loved it. Great service thank you boys.